We Can’t Use the ‘Z’ Word! World Jewish Congress and AWB Host Discussion – How Can We Bring Zionism Back into the LGBT Discourse? The World Jewish Congress teamed up with A Wider Bridge for a special discussion on the experiences of pro-Israel LGBT activists and tools for bringing Zionism back into the LGBT discourse. Read the WJC’s recap of this important event below. The Boycott, Divestment and Sanctions Movement has in recent years infiltrated the LGBTQ community in the United States to promote its anti-Israel agenda, leading to an atmosphere of exclusion, ostracizing, and censure for pro-Israel members of the community, including expulsion from pride events and discourse. After years of seeking a safe space that encompasses both of their identities, the pro-Israel LGBTQ community has found that it has an ally in the Jewish world. The unprecedented LGBTQ n’ Z: A Conversation About Pride, Zionism, and Inclusivity, was conceived of following a contentious summer of Pride events across the United States, where marchers from A Wider Bridge, carrying rainbow flags emblazoned with the Star of David, were shunned, physically and verbally accosted, and excluded. Matt Nosanchuk, Former Associate Director of Public Engagement and the White House’s liaison to the American Jewish community, opened the event as keynote speaker, led the discussion with a keynote address, in which he described his overlapping identity as a Jew, Zionist, and member of the LGBTQ community adding that it was in great part his experience and familiarity with these worlds that led to his appointment in the White House. 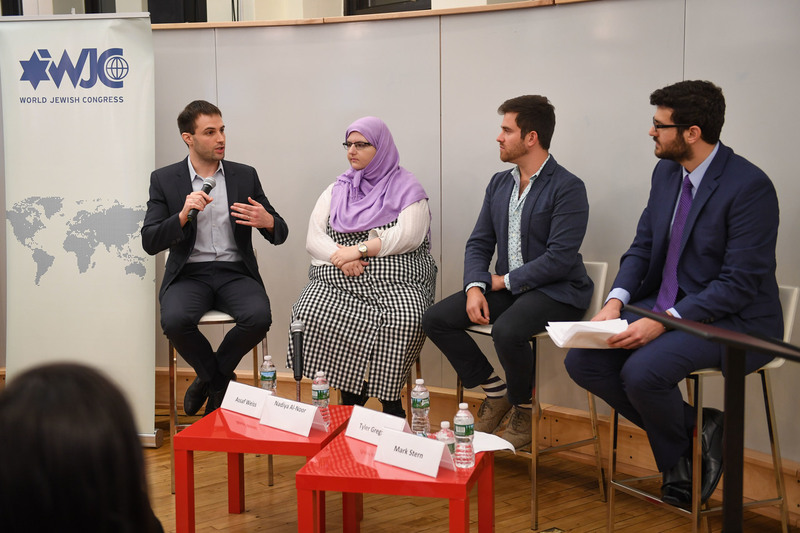 A discussion followed with experienced LGBTQ-Zionist activists moderated by Slate journalist Mark Joseph Stern, featuring former Senior Advisor to Israel’s Minister of Health and Member of the World Jewish Congress-Jewish Diplomatic Corps Assaf Weiss, Muslim pro-Israel campus activist Nadiya al-Noor, and A Wider Bridge Deputy Director Tye Gregory.